Our Community Engagement and Participation programs cater for adults with acquired and inherited disability who have low to medium support needs. We aim to provide person-centred and meaningful programs which assist clients as much or as little as necessary in order for them to stay independent. The service support clients to develop their independent living skills and participate in the community. Activities are based on clients’ choices and enjoyment. Service days and times depend on the activities of each program. The Centre Based Programs operate from several locations in Lane Cove and Hunters Hill Local Government Areas. 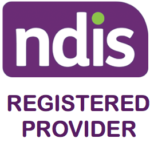 The services are charged as per recommended fees in the NSW NDIS Price Guide. The non NDIS client contribution covers the cost of meals, transport and entry tickets to sporting and leisure activities.